An exception was encountered while constructing the content of this frame. This information is also logged in "C:\Users\admin\AppData\Roaming\Microsoft\VisualStudio\14.0\ActivityLog.xml". But still nothing I was able to find has worked. I reinstalled VS and repaired it - still nothing. Then I have downloaded some .dlls, microsoft visual c++ redistributable packages and used Ccleaner to clean registry. I think it's a very strange error; if you could advise me on a fix please? try to update device driver (Intel HD Graphics) or Run with graphic driver if u got switch based or vice versa. 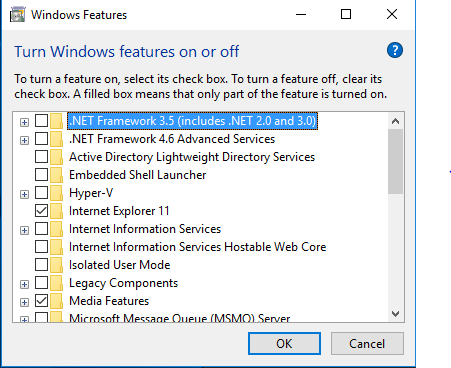 Visual Studio uses WPF: From this link: "Windows Presentation Foundation (WPF) differs from prior application platforms on Windows in that it uses its own DirectX-based hardware-accelerated rendering pipeline, when available, to draw the contents of any WPF windows. Prior application platforms were typically much less dependent on display driver quality because the bulk of their rendering was done in software rather than hardware." So, it may conflict with the display driver causing it to stop if you don't have latest display driver or the latest .NET framework. Though there might be other reasons. There is also a registry settings(regedit) which might help: You can add a new DWORD(for 32-bit systems) or QWORD(for 64-bit) by going to [HKEY_LOCAL_MACHINE->SYSTEM->CurrentControlSet->Control->GraphicsDrivers] and setting the name to "TdrDelay" and value to "8". Make sure the value's base is set to hexadecimal. TDR- Timeout Detection and Recovery. If any of the above doesn't work. Try disabling any hardware accelerated rendering features in Visual Studio from [Tools->Options]. From your ActivityLog file, it seems that the exceptions are mostly in the graphics methods. So, my guess is it has to do with graphics rendering. Click on Tools menu > Import and Export Settings > Reset all settings > Next > "No, just reset settings, overwriting all current settings" > Next > Finish. You can also try closing VS, deleting the bin directory then attempting to debug again – it has worked for me. I'm suspecting a windows update, as none of my colleagues have this problem and unfortunately I'm that nerd who always installs his updates ASAP. I found this SOF article and tried everything listed. And I found a new caveat to this voodoo. Mine falls under the "the dumbest reason ever" category. My temp folder was "full". So I did a disk clean up, and that deleted the FILES. However, I had a large amount of subfolders in my temp folder and while they were empty, the folders themselves were causing GetTempFile functions to fail. In that log entry text, don't miss the text "System.IO.Path.InternalGetTempFileName"
Then I took a look at the temp directory, and I saw something weird. A large amount of (empty) subfolders. So once I discovered I had a bunch of subfolders in my temp directory, I cleaned up these subfolders. 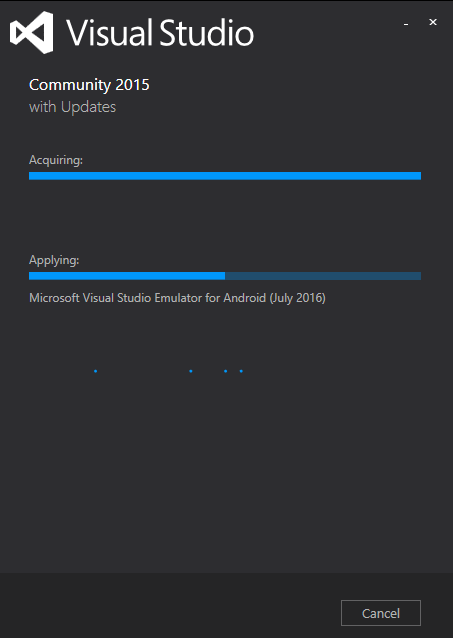 And now my Visual Studio is running ok again. Why Visual Studio 2015 freezes crashes hangs on Designer view?